Dr. Liz Bywater is currently working with me and my KLX Aerospace Solutions executive leadership team. We engaged Dr. Liz during a tough year. She helped me and the team take a strategic pause, prioritize our strategic plan, and simplify our actions and operating plan. Her commitment to people is extraordinary. Dr. Liz quickly uncovered the problems that held me and my team back and provided the tools needed to improve our communication, decision making and team effectiveness. We experienced immediate results. Getting ready for the year ahead is different this year at KLX Aerospace Solutions. We just completed a record setting year, and were recently acquired by the largest and best aerospace company in the world. Change is upon us. The KLX Leadership Team took a strategic pause this week to focus on 2019, both achieving our results amidst our growing pains, and leading ourselves and our teams through the challenges and changes ahead as we embark on our integration journey. Dr. Liz Bywater led us through a great day together and provided sound guidance and practical and easy to use solutions. The team left more cohesive than ever, energized and ready for all 2019 has in store for KLX. I wanted to take a very brief “strategic pause” to reflect about the great input and some of the tools we have been introduced to at the session with Dr Liz. Each of us takes an average of 3,500 decisions per day and to get as much as possible of them right we have to ease off the gas pedal and “slow down” (before speeding up again…). We talked a lot about the different things we are faced with on a daily basis. Some of them are non-negotiable and they need to get done right away. I found the “Priority assessment tool” of specific value to be more thoughtful and strategic in the way we handle our workload. Also the “Stakeholder Priority Plan” is such a useful tool to become clearer about with whom/for whom to spend time. I will do an effort over the coming weeks to implement these into my daily work and also introduce them to my team. I found Liz to be an exceptional consultant for our executive sales leaders. Her direct style of communication, clear expectation setting and collaborative approach drove the performance of our sales leaders to deliver strong double digit results. – Marlou Janssen, President, Biotronik Inc.
Liz is one of the best executive coaches in the business. Takes the time to understand her clients’ needs and helps them tailor the best possible plan. So fortunate to have had the opportunity to work with her. Dr. Liz Bywater is a talented consultant and coach. She has become a highly valued partner to us at Atlantic Health System, providing leadership development and onboarding coaching to more than a dozen of our key executives, including all three of our hospital Presidents. Liz possesses a keen understanding of the developmental needs, opportunities and challenges of an organization’s leaders and, as such, she has made a lasting impact on our team. With her engaging personality and sophisticated approach to working with senior executives, Liz has developed an outstanding reputation among our Officers and Directors. She is well liked, trusted and highly respected throughout the organization. I had the pleasure of working with Dr. Bywater at a company in our portfolio. Liz has an engaging style which puts all parties at ease, thus leading to authentic and transparent conversations. It is very apparent, Liz is very skilled and experienced at listening and communicating in a manner which builds trust and fosters openness. Ultimately, her work was instrumental in assessing the dynamics, strengths and development needs of the entire leadership team and company culture. I had the pleasure of working with Liz once I assumed a world-wide executive role as head of Clinical Research at Cordis, Johnson&Johnson. This was coincidental with a relocation from Germany to the United States and the responsibility of leading a larger group of research directors and managers located on both sides of the Atlantic. There were lots of changes starting from the immediate environment over cultural differences even within the team, over new performance expectations, and finally the need to adjust the research approach to varying business situations. I have found Liz to be of superior help and impact in this difficult situation. She is a good listener, a totally trustworthy individual, she understands with minimal explanation even the most complex situations, and I have quickly started to engage her once conflict seemed to become overwhelming. She has a deep and good understanding of leadership principles and qualities, a good perception of the commercial situation of companies, and a rapid and reliable judgment of people. I have followed her advice frequently and believe it helped a lot. Even more, after the engagement, I keep connecting with Liz in a regular dialogue, because most of all, she is a very good person whom I trust. Liz, I can’t tell you how grateful I am to you for all of the assistance you gave me. As it turns out buying the company I bought was one of the best moves I’ve made. Over the last two years I have been able to position things in such a way that I am now semi retired. I practice law part time, I run my company very much part time and spend a heck of a lot more time with my wife and my kids. I’m also actively looking for other companies to buy. In no small part I owe this new life to you and to the advice and attention you gave me. Liz and her firm are a valuable asset. I first retained Liz’s services in 2013 to assist with talent management inside one of our agencies and to provide some personal coaching and development for key employees. Liz is all that you would expect: a subject matter expert in personnel management, career coaching and development. She is also some of the unexpected: great business acumen to see “the big picture;” deft and graceful to work across multiple industries and with diverse groups. I view her as extremely capable, trustworthy, and valuable. Dr. Liz Bywater is an outstanding organizational consultant and I strongly recommend her to any client seeking to improve individual and organizational performance. I know Liz well, as she has mentored with me, participated in my intensive professional development program (The Million Dollar Consulting College™), and is a member in good standing of the Society for the Advancement of Consulting. I can tell you that Liz demonstrates the highest degree of integrity, professionalism, and dedication to the field of consulting. She is absolutely committed to improving the condition of her clients. Liz does exceptional work, is a pleasure to deal with, and has earned her place alongside some of the best consultants working today. As a result of the coaching program, I received tremendous value and benefit, developed a more cohesive relationship with my staff, increased my self- awareness and self-discipline and strengthened my effectiveness in communicating and leading; all while delivering improved results. As my executive transitions coach, Liz helped me integrate, in the best possible way, into my new organization. I greatly appreciated Liz’s commitment to making this process a success. Liz is a person with the ability to create trust with the people with whom she works and she uses her natural talents (e.g., intellect, open mind, multi-cultural awareness, dynamic personality) to make it happen. Liz’s insights and straightforward advice made it easier for me to build a strong foundation for moving into my new role. After working together, I’m even more convinced of the added value of a strong coach during important personal and professional transitions. Liz is a seasoned executive coach. She is adept at understanding organizational dynamics and using this insight to develop practical solutions and implementable development plans. Liz is an active listener who processes and distills large amounts of data. This allows her to help develop plans that are tailored to the individual she is coaching. She builds relationships easily and earns the respect of clients and stakeholders through her coaching skills and collaborative style. I highly recommend Liz Bywater as a consultant and coach in the areas of leadership, organizations, teams and people. Liz is smart, straightforward, engaging and excellent at what she does. She helped me to gain valuable insights into the behaviors and underlying dynamics of my organization and developed practical and effective strategies for bringing out the best in others. She taught me how to offer genuine praise and encouragement while holding individuals accountable for the highest degree of effectiveness. I thoroughly enjoyed working with Liz, even when she was challenging me and my approach, and would greatly recommend her. Liz Bywater is a leadership and organisational transformation expert. She is one of the few consultants I have worked with that brings deep domain expertise to the psychology of leadership and combines it with strong commercial acumen. Liz’s style is intelligent, enquiring, authentic and pragmatic. It is this style that underpins an amazing ability to achieve outcomes for her clients. If you’re looking for a thought leader who will make a lasting difference to your people and your business I would strongly recommend speaking with Liz. Working with Liz has been the most rewarding and impactful developmental experience I’ve had in my 26-year career. I would highly recommend Liz to any leader who wants to get to the next level of leadership. Liz, you are truly a thought leader and it is amazing how “spot on” you are with embracing change, creating winning cultures and optimizing performance across organizations. Kudos to you! I worked with Liz Bywater for a little over a year in an executive coaching exercise. I have to admit I was skeptical going into the experience. I’ve been in industry for over 30 years and thought I was pretty set in my managerial and personal interaction style. But I went into the coaching with an open mind and was very pleasantly surprised and satisfied with the outcome. Liz created a very relaxed atmosphere for our interactions and outlined a clear agenda for our engagement. While we had a few “opportunities” on which to work, she continually emphasized that there were a lot of strong points on which to base the improvements – and that it was more a matter of fine tuning than major changes to my executive behaviors that were needed. (We often forget about that when we get involved in these efforts.) Liz helped outline a great action plan (where most of the heavy lifting was up to me, as it should have been) and was available throughout the exercise for face-to-face meetings as well as phone call discussions. The overwhelmingly positive feedback from my stakeholders was the evidence I needed to see the improvements Liz helped me achieve in a short period of time. Working with Liz was an excellent experience that I probably should have done a lot earlier. I’d recommend her without reservation to any of my colleagues who want to improve their managerial or soft skills. Liz is warm, smart, patient, a good listener and skilled coach. I have had the pleasure of working with Liz in a professional capacity for more than 3 years now and it is without hesitation that I can recommend her for her professionalism, intellectual capital and ability to move leaders forward on their journey towards leadership excellence. Liz is warm, outgoing and able to bring out the best in her clients. – Tracy Duberman, Ph.D., President & CEO, The Leadership Development Group, Inc.
Atlantic Health System partnered with Liz Bywater, PhD, for several executive coaching engagements. Liz brought significant value to key leaders within our organization while working with them on their personal and professional development efforts. I highly recommend Liz for her coaching skills and professional demeanor. Executives within AHS consistently stated that their experience when working with Dr. Bywater was extremely positive. The coaching process was a very positive experience. My motivation for initiating a coaching engagement was that I had recently been promoted and given a large increase in span of work and many more direct reports. Liz helped me clearly define the integrated value of my new group and develop a plan to gain stakeholder alignment. My personal connection with Liz was the most critical element in making this a success. I trusted her and we had honest and frank conversations about the feedback that was gathered. She was able to guide me to recognize the issues and define the final action plan without handing me the answers. It’s been four months since my engagement ended and all of my action plans have continued – I can say for sure that I’m in a far better position now than I was this time last year. For my new role as COO, I did my homework and upon entering the job I had already sought out transition support, read books on new leader assimilation, and developed my own path for change. Working with Liz helped me fast track and structure my plan and allowed me to be successful in the first 90 days. For example, I executed an assimilation meeting with my direct reports in 4 hours. It would have taken me weeks to do on my own. I was able to have conversations with my boss, facilitated by Liz, that stimulated dialogue that probably would have happened over time, but the structure she brought to the process made it happen in a more rigorous and timely manner which was extremely helpful. I would certainly recommend onboard coaching to both individuals and organizations. It was extremely valuable for me to jumpstart my new role and it’s a great way for the organization to get a quick handle on someone. I was very appreciative for the opportunity to work with Liz. It’s been 6 months since my engagement ended and I still feel the value of working with a coach. After our organization, Newton Medical Center, merged with the Atlantic Health System, I was fortunate to be offered the opportunity to participate in an onboarding process as part of my orientation into the system. Liz Bywater, PhD, served as my consultant and guided me through an extensive process, which included a 360 evaluation and the development of a leadership development action plan. The areas of focus included establishing credibility and trust, building relationships and achieving early wins, while concentrating on organizational and individual goals. The process was of great assistance in my becoming acclimated to the new organization as well as being welcomed into the executive ranks. Dr. Bywater’s expertise in focusing on specific behaviors and actions to achieve the desired outcomes was both essential to the process and very much appreciated. Her professional demeanor, pleasant personality and incredible listening skills assisted me in making a successful transition. As a satisfied client, I’m extremely pleased with the results and thankful and appreciative to have been afforded this opportunity. The leadership development process exceeded my expectations. As a leader of our organization, it was terrific to be able to reflect on how I am being perceived by others, what’s working well and not so well. Liz and I had a great working relationship. She enabled me to fully reflect on the assessment data, encouraging me to focus on meaningful developmental opportunities. The process allowed me to re-prioritize how I go about my work to enable the best outcome for myself and the organization. There are certain indispensable qualities that you absolutely must have in an executive coach. These include trust, the ability to share one’s thoughts openly; intellectual curiosity, going beyond any standardized testing process and walking in one’s shoes, shadowing throughout the course of business events; and integrity, standing by one’s principles of confidentiality even when it is inconvenient. If you do not have this in a coach, you do not have a coach. Liz Bywater, my coach and mentor, has all these qualities and more. Liz is a straight talker. You can be confident that she believes what she is saying and that it is fact based, not contrived by someone who wants her to tell it a certain way. Liz has contributed significantly to my interactions and the interactions of my team. As a direct result of Liz’s guidance, my team and I are now considered a high performance team and one to emulate. The coaching I received from Liz Bywater has been extremely worthwhile and valuable. While I entered the coaching engagement optimistically, I truly did not anticipate the results that I achieved. Through Liz’s thoughtful coaching style, she assisted me in working through actual real-world work situations, which enhanced my awareness and influenced my leadership approach. I would highly recommend Liz to any leader who wants to get to the next level of leadership. I found the coaching process to be very beneficial. Liz was extremely helpful in providing me with concrete recommendations and guidance, which has been extremely useful in my integration into my new role. Liz had some excellent feedback for me and her understanding of the key stakeholders within the organization was very helpful. I enjoyed the structured manner in which she operated and how she provided me with timely feedback and guidance. Liz’s coaching has helped me rapidly elevate my performance and my contribution to the organization. Career and family life should be well balanced – and advancement in one does not need to take a toll on the other. Liz has helped me link workplace performance growth with personal growth. By drawing better consciousness of my motivations, aspirations and unique abilities, I have been able to create bold but realistic behavioral change goals that delivered meaningful difference at work and at home. Liz has helped me engage in creative conflict and provoke new thinking in my extended team. As a result, our goals are more challenging but we take pride in the opportunity to bring thought leadership in the categories in which we compete. Liz’s guidance has been masterful. In her role as my executive coach, Liz Bywater greatly assisted me in making the transition from an R&D technical project leader to R&D manager. Among other things, Liz helped me develop a concrete blueprint with metrics, which guided me toward achieving my goals. Without a doubt, my coaching with Liz greatly accelerated my transition into this new role. While completing my MBA at Wharton, I had the great privilege of being coached by Liz Bywater. Liz helped me work through some very tough and important decisions about what to do with my degree upon graduation. She helped me move from a position of confusion and uncertainty to one of confident risk-taking and self-assuredness. Liz’s guidance couldn’t have been timelier or more helpful. She coached me through a major crossroads in my life by lending a supportive and analytical ear as well as extremely valuable tactical and personal guidance. Liz’s encouragement and expert counsel helped me successfully navigate this very challenging transition in my career and my life. All the while, she has been a true friend, a wise mentor, and a trusted advisor. Liz Bywater is a gifted consultant and coach. Liz is thoughtful, insightful, and incisive, clearly identifying how clients can inadvertently slow progress toward peak performance. In this way, Liz is able to provide specific strategies for avoiding ineffective behaviors and attitudes, while outlining ways to increase effective outcomes. Her sensitivity toward others gives her the ability to connect with people, engage and motivate them. She’s energetic and enthusiastic, and her positive outlook is infectious and inspiring. She’s definitely the one to call on for your personal and professional growth! Good coaches tell you what you need to do to improve. Great coaches inspire and empower you to chart your own path toward continual improvement. Liz Bywater is a great coach. Through use of qualitative feedback, exercises that encouraged personal reflection and authentic, open conversation, she helped me understand that the path that had brought me to this point in my career might not be the exact path that will take me where I want to go next. Her expert insight has helped to shape how I view my day-to-day work, as well as my goals for the future. I had a wonderful experience working with Liz. Within the first couple of meetings she uncovered several blind spots in how I communicate in a corporate environment. Liz helped me adjust my communication style to match the way I’ve always intended to communicate – I couldn’t have gotten there on my own. Liz is a phenomenal executive coach. She has an authentic and results-oriented approach that moves beyond self evaluation to REAL self actualization. 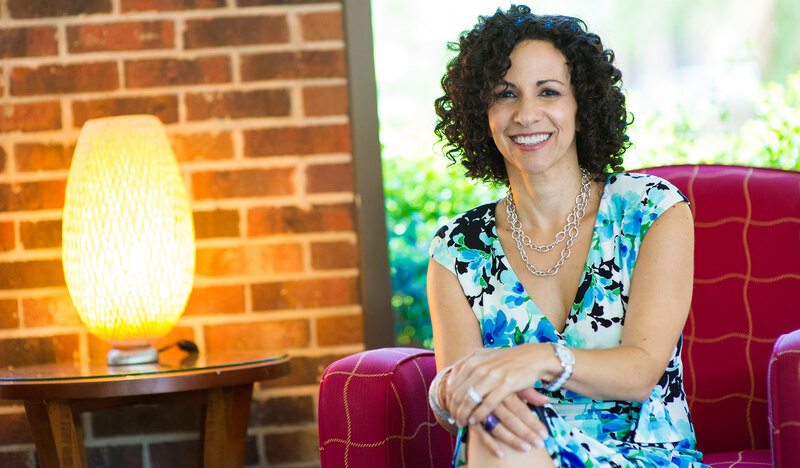 She provides her clients holistic insights through her observations that drives mindfulness, change, activities that you will use to make significant inroads into your professional and personal development. My experience with Liz has been a great compliment to my career and professional journey. She is an ethical and insightful coach that will help you, become the best, authentic YOU. I highly endorse and recommend her for executive leadership coaching and professional development. I had the opportunity to hear Liz speak recently and was delighted. She was excellent – great content, authentic desire to help others, terrific energy, and delivered with passion! – Ann Latham, CEO Advisor, Clarity Expert, Speaker, Uncommon Clarity, Inc.
Liz’s expert insight, straightforward style and personable nature is why she is so good at what she does. I went to her a bit skeptical, and came through the process with not only a deeper understanding of my professional strengths, but also with a clear career growth pathway leading to greater personal and professional satisfaction. Soon after my sessions with Liz I was able to define and achieve actionable goals that led me to where I am today, and I could not be more appreciative of her helping hand. Liz is a terrific colleague to work with and is a highly dedicated professional with expertise in helping leaders maximize their personal effectiveness and develop truly high performing teams. She has the ability to quickly put people at ease, establish trust and communicate key messages in a way that is both direct and digestible, so that clients can use it to improve their leadership effectiveness. Liz has been highly successful in working with a wide range of leaders in various career stages at multiple organizational levels. I appreciate her collaborative nature and am grateful to count her as one of my trusted colleagues. Thank you for participating in this most important event Women in Consulting for the Temple University Management Consulting Program. You brought a unique element and students wished the program could have been even longer.